I have so many ideas. All. The. Time. I feel very fortunate that I have an extremely overactive brain (LOL–Yes, that does sound weird!) 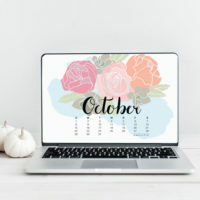 because I know that not everyone has an easy time coming up with new blog posts and/or products for their shop. Me, on the other hand, I need at least one more clone of myself before I’ll ever feel like I have a good grip on the constant inspiration that is always flowing through me. 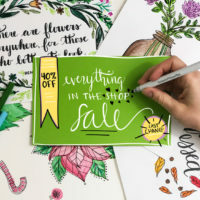 However, with that being said, we all need a little help from time to time getting our ideas focused, or in an easy to read format for our readers, customers, friends, etc. One of my favorite blogging books to help me put together my idea(s) into a blog post is by Dana Fox of The Wonder Forest. I cannot tell you how many times I have referred to her book when I want to write about a topic, but have no idea how to accomplish it. For instance, I wanted to share a few things about myself, but didn’t want to just blurt out facts. 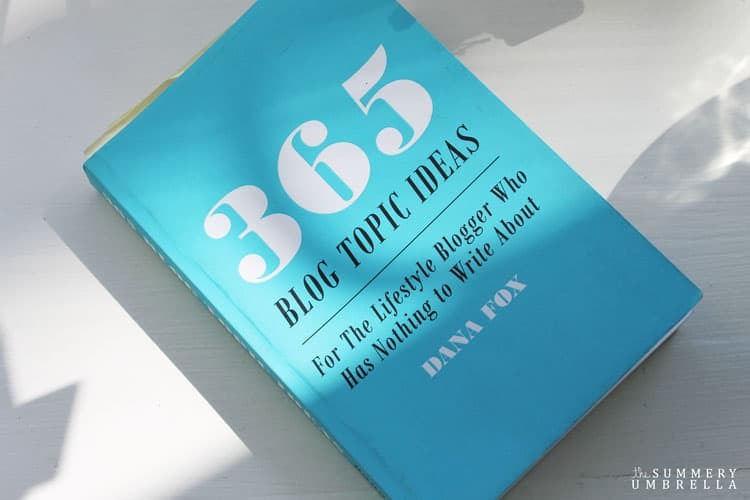 I grabbed Dana’s handy-dandy 365 Blog Topic Ideas: For The Lifestyle Blogger Who Has Nothing to Write About book, and within minutes I knew that I wanted to share 10 Things I Hate to Admit. Now granted, not all of my ideas come in this form. In fact, I would dare to say that the mass majority of my inspiration comes from something I’ll see in nature, in a magazine, or even on a car trip to the supermarket. In times like these it’s super helpful to have a good go-to place to put all of these ideas down so I won’t forget them. You know what I use? Just a simple binder , paper (lined and blank) as well as clear sheet protectors . It’s soooo easy and keeps all of my ideas in one place. 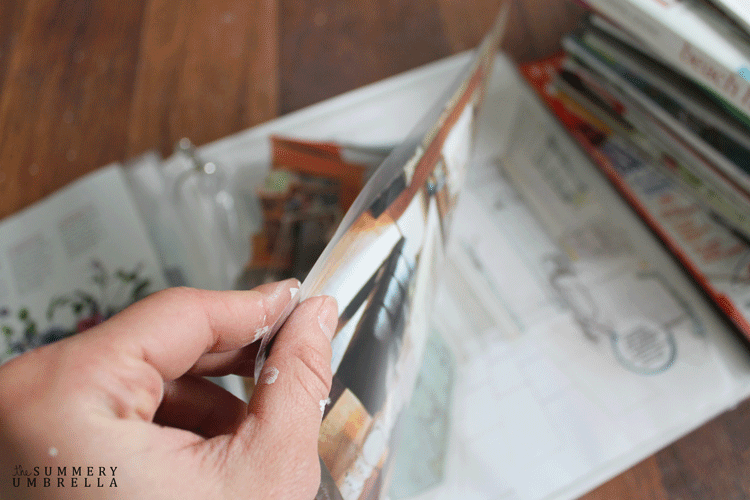 and then tear out pictures from magazines, newspapers, catalogs, etc and put them in the sheet protectors. If you’re feeling really ambitious you could even add tabs for each category of your blog and sort out your ideas that way too! I’ve tried doing this same method using secret Pinterest boards or even an Excel spreadsheet, but I really like the hands on aspect of my Inspirational Blog Post Binder. There’s just something about being able to put my own notes on each page, and sort it out any which way that makes it easier for me to stay organized. Will have to check out Dana’s book as I’m often stumped on how to turn some random idea into something people would want to read. I actually do something very similar to your method above (although not so organized!) so I’m hoping that means my brain works in the same crazy creative way yours does! ;) Visiting from Bewitchin’ Projects. PS: Just read about you in the May 2016 BHG magazine. Congrats! 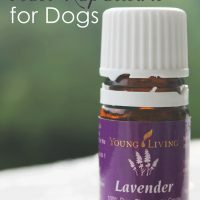 Love that your method doesn’t involve the computer, much nicer! And i can certainly identify with never running out of topics only time to implement them! Thanks for sharing on craft schooling sunday, great to have you! I love hard copy stuff. 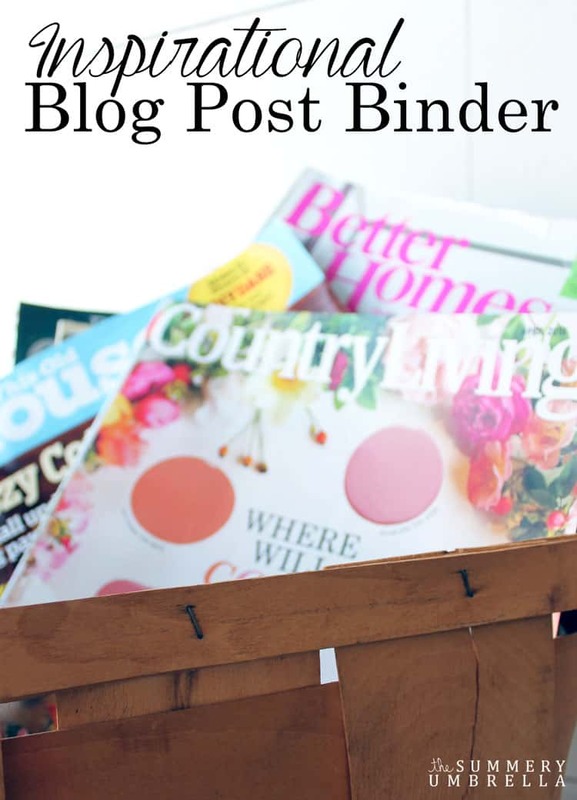 So much easier to use and love your idea of the binder. I couldn’t agree more, Debbie! I definitely work better when I have something I can look through. There’s just something about “old-fashioned” that is sooo much better! Great post! I am visual, so this will definitely come in handy for my blog. This is genius!! I wrote an entire post on brainstorming blog post topics and prompts and am planning on doing a second post – would love to feature this post in it! Let me know if that’s okay with you! Lovely idea, having an inspirational blog post binder. I have some of my clips in a file folder. Not as neat. Thanks for sharing at the #InspirationSpotlight Pinned & shared. See you again soon!